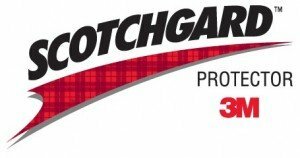 Through a partnership with 3M, Gentle Clean Carpet Care is an authorized provider of warranty service for 3M’s Scotchgard™ Stain Protection Plan. For carpet owners in Ambler, Blue Bell, and other parts of Montgomery County with this warranty, Gentle Clean can maintain your carpets and remove stains should any accidents happen. To request service as part of this plan, call the 3M Service Center directly at 800-352-6789 and Gentle Clean will be dispatched to your home. The next time you install new carpet, make sure it’s Scotchgard™ protected! Don't your carpets deserve the very best? Contact Gentle Clean Carpet Care today and get your carpets looking as good as new!